What is the Best Dog for Cats? There’s an old saying about “fighting like cats and dogs” that may make it seem like dogs and cats weren’t meant to get along. 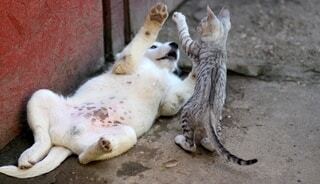 Fortunately, there are many dogs that get along with cats. Even some dog breeds that aren’t notoriously friendly to cats can be just fine with their feline house mates, particularly if they’re introduced as puppies and kittens. If you’re a pet owner looking to share your life with both cats and dogs, you can help establish harmony by choosing a cat friendly dog breed from the start. 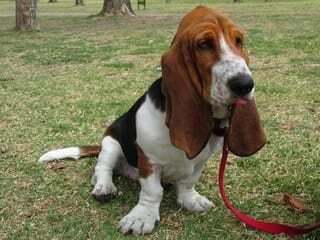 Talk about laid back – Basset Hounds are known and beloved for their cheerful and mellow nature. These happy-go-lucky dogs get along great with cats and other dogs. The downside? Bassets can be vocal and may sound off on occasion. 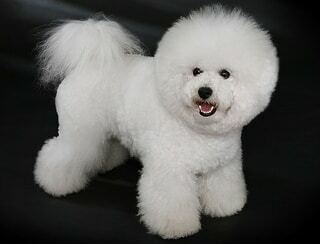 The Bichon Frise may be small in stature, but this breed is as self-assured as any in the canine kingdom. With its gleaming, puffy white coat full of curls, the Bichon Frise is a striking pooch that loves to play and be part of family life. Here is a Toy breed about the same size as most cats and one who gets along famously with felines as well. Bloodhounds are best known for their canine “detective” work, utilizing their large nostrils to track and find any number of things. 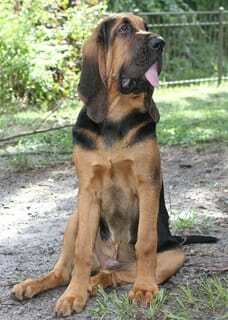 Their long, droopy ears, saggy skin and eyelids give them a comical, almost sad look, but bloodhounds are anything but. If they’re not working a scent, these hounds are happy, affectionate and mellow – all traits that help them get along great with cats. At first glance, bulldogs can appear cranky and curmudgeonly with their blunt looks. And their powerful, stout build gives them an air of potential danger. Bulldog owners know this isn’t true. These dogs are friendly and good with children and cats. 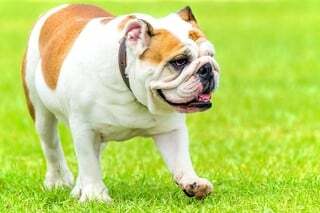 They do have a protective streak and are certainly powerful, but bulldogs and cats can and do live in harmony in many households. 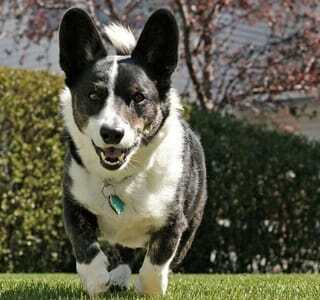 Cardigan Welsh Corgis are expert and perky herding dogs that transition easily into household pets. They are generally easy-going though always aware of their surroundings and what’s going on. Cardigans stand about 12 inches high and weigh between 20 and 24 pounds – bigger than most cats but not overly so. These Corgis are cat-friendly and easy to groom and feed. 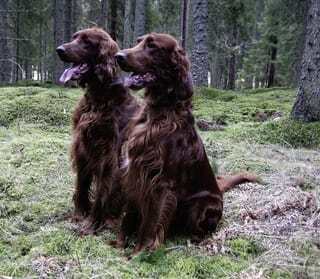 Irish Setters are strikingly beautiful dogs, with long and silky chestnut coats. These dogs make great companions for hunting in the field or just hanging out at home. 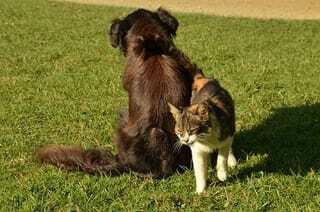 And among the sporting breeds, they are one of the best when it comes to dog-and-cat relations. It’s surprising that some of the largest dog breeds often get along best with cats. 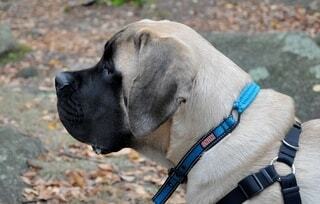 The Mastiff is no exception. These gentle giants are known for their calm demeanors. And their steady temperaments make them excellent family- and cat-friendly dogs (see below). Just be ready for a food bill as big as the Mastiff itself! 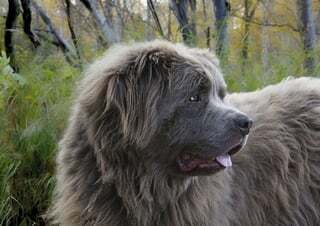 Newfoundlands are another giant breed with a remarkably calm and sweet disposition. These dogs thrive on family life, be it playing with the kids, going for a walk – or better yet, a swim! Newfies are also patient and playful with cats, making them a delightfully large choice for a feline playmate and protector. 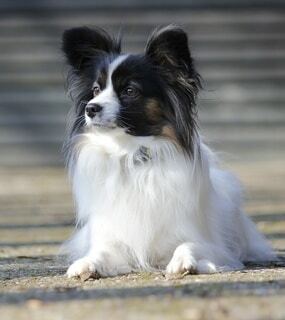 The Papillon is also known as the “Butterfly Dog.” Its tall, fringy ears resemble wings, while the white stripe running down the center of its head to the nose is the body. Look close and you might see a butterfly there! Papillons are very intelligent dogs that get along well and even like to play with cats, as this video shows. 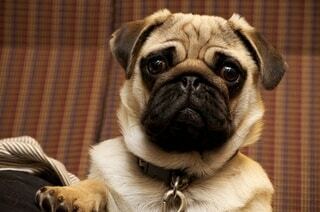 The Pug packs a lot of character into a small frame. These curly-tailed miniature mastiffs may look stern, but they have a real sense of play and fun. Their cheerful temperament make pugs a great family pet and a good choice – both for personality and size – to share a home with a cat. 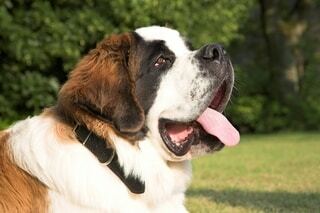 Saint Bernards are giant, lovable lugs that are as powerful as they are charming and gentle. They thrive in family situations – being around their owners – and they also do great with cats. That’s a good thing, too, because an adult male can weigh upward of 180 pounds! 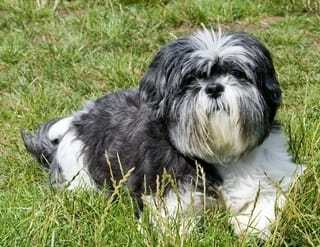 Shih Tzus are perky little dogs that love to bounce around and play. They are great dogs if you have small living quarters or you’re just looking for a good home companion. They are good dogs with kids and cats, though their mischievous streak may lead to some goofy canine-feline interactions. This video shows a Shih Tzu towering over two kittens but playing gently all the time. This is by no means an all-inclusive list of dogs that get along with cats. If you have another cat-friendly dog breed to nominate, please leave a comment! I’m the “human” behind Sporty Dog Guide. I’ve been around dogs since I was an infant and have loved them all my life. 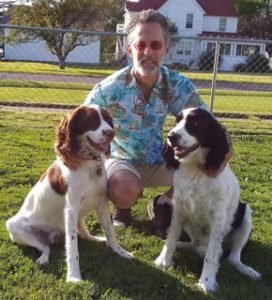 I started this site to share my passion for dogs and to help others learn more about their own dogs, see what certain breeds do best and to find the finest gear for their four-legged friends. From our backyard in northwest Wisconsin, we thank you for stopping by!